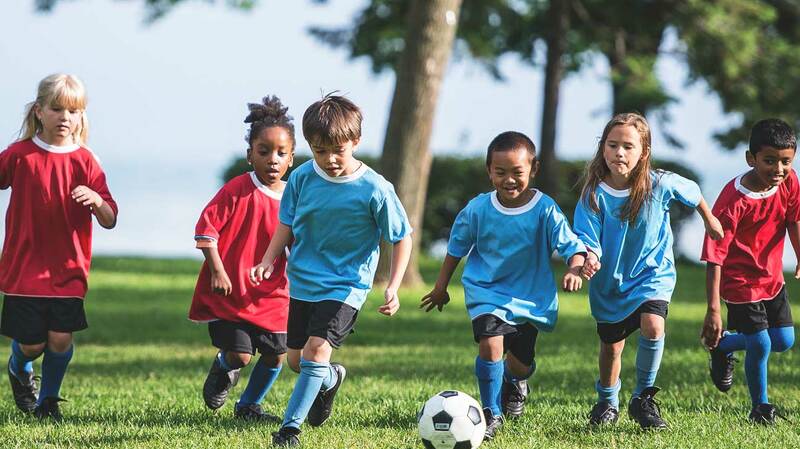 Each year, nearly 4 million children ages 14 and under suffer from sports-related injuries. It is estimated that as many as 20 percent of children participating in sports are injured each year. Every day, from soccer fields to ice rinks, millions of youths participate in sporting activities. Participating in sports builds the body and mind, but can also result in injury if the proper safety precautions are ignored. Young athletes are at an increased risk for injury because their bones, muscles, tendons and ligaments are still growing. Know and follow the rules of the sport. Be in good physical condition before beginning any sport. Wear proper apparel and protective gear. Be sure to warm up before playing. Drink plenty of liquids before playing to prevent dehydration. Do not play when tired or in pain. Enroll your child in programs where you know an adult will be monitoring the event. Be sure your child uses the proper safety equipment. Teach your child to start by warming up and stretching. Remind your child to cool down afterwards.